As National Caregiver Month comes to an end this year, we want to recognize and honor caregivers and all the hard work they do. There are tens of millions of caregivers in the US caring for those that cannot complete all their tasks on their own. Caregivers not only provide medical care, they also typically run daily errands, care for the home, and provide security. These tasks often take up many hours a week. About a quarter of caregivers spend so much time caring for their patients that it could be considered a full-time job. The work of a caregiver can be tiring, stressful, and often feel thankless. Some patients may not be able to understand the hard work that goes into caring for them and therefore may not be able to properly thank their caregivers. It’s important that those who know caregivers, whether they be relatives, coworkers, or friends, take time to let caregivers know that they are valued. This is a note for caregivers across the world to know that there are many people that appreciate what they do and respect their selflessness. Thank you for so often putting the needs of others before your own. The decision to become a caregiver is often not an easy one. It’s likely that caregiving takes up a large chunk of your time and it might feel like you’re putting your own life on hold. We want caregivers to know that there are so many people that appreciate the work they do. To put in perspective the amount of work and love that goes into caregiving, we want to highlight different responsibilities most caregivers have and provide some resources that might help make life a bit easier. Caregivers often find themselves administering medication and bringing their patient to doctor’s appointments. Keeping track of one’s medical needs require responsibility and organization. Caregivers must know how and when medical aid should be administered as well as when outside assistance is needed. A helpful idea is to keep an eye on sites that provide information for illnesses or disabilities your patient has. Sites like Alzheimers.gov and National Multiple Sclerosis Society are good examples. Since many patients cannot travel on their own to run errands or complete necessary tasks in their home, it often is the responsibility of the caretaker to complete these duties. There are dozens of these tasks that must be done and can seem overwhelming. Luckily, there are services such as Meals on Wheels and to Molly Maid shorten your to-do list. 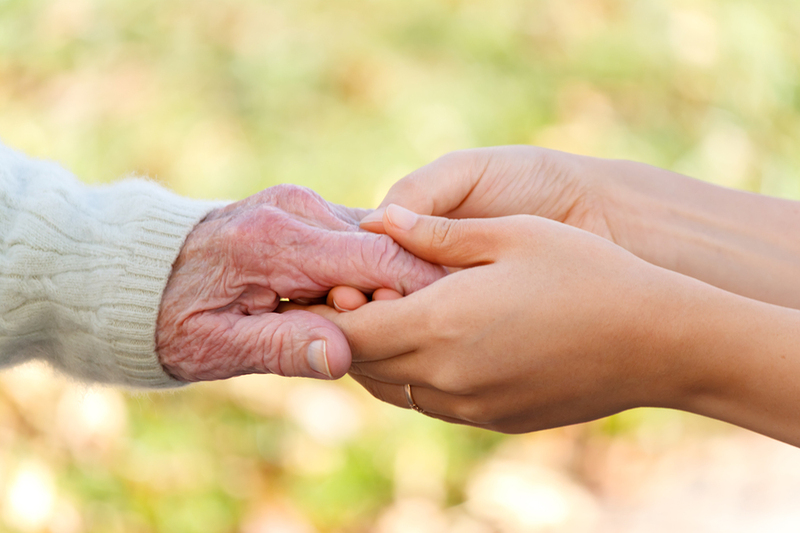 As a caregiver, one must keep their patient safe and maintain peace of mind. This means making sure that the living space is secure and the patient can move safely about their home. This includes keeping home renovations up-to-date and possibly even installing a home security system. Keep an eye on sites like Consumer Safety and SimpliSafe’s Facebook to stay on top a safety news. It’s likely that the patient doesn’t often get the opportunity to socialize with others, so it’s also the responsibility of the caregiver to provide companionship. Dealing with a condition or disease that limits your independence can cause patients to feel lonely. Sites such as Caregiver Action Network give advice for caregivers on this topic. Clearly, caregiving requires a person with many important characteristics. Caregiving is no easy task, and we hope caregivers feel how appreciated they are this National Caregiver Month. Caregiving is a very exhausting and challenging task, especially for those who have to attend their personal needs or have children. Many people are not trained and sometimes have no idea how to take care of their elderly loved one. Thanks for sharing. Caregivers have one of the toughest and sensitive jobs. These above-mentioned things can boost morale of caregivers who work tirelessly to help seniors live a better life at home. Thanks for sharing the blog.